Ross Clevens, MD, FACS,Brevard’s board certified facial plastic surgeon, has recently introduced a groundbreaking new treatment for hair loss in men and women. The technique, called NeoGraft, does not use a scalpel and requires no incisions or sutures. It is one of the safest and most effective treatments available today. NeoGraft provides a superior alternative to traditional hair restoration techniques. By transplanting individual hairs, the end results look completely natural. Little to no pain is associated with the NeoGraft procedure. The least invasive hair restoration procedure available, NeoGraft is both efficient and affordable. “We have developed a center of excellence, where we are able to provide our patients with the most comprehensive and best possible care in the area,” Dr. Clevens explains his passion for bringing the latest NeoGraft technology to the area. With more than 38 million men and 21 million women suffering from thinning hair or baldness, NeoGraft technology addresses a widespread problem with a minimally invasive solution that has very little downtime; patients can have the procedure on a Friday and be back to work the following Monday. The most important first step for those considering hair restoration with NeoGraft is the consultation appointment. Dr. Clevens helps patients achieve their goals by listening to their concerns and discussing options. During the hour-long consultation, he educates each patient about the procedure, how to prepare and the expected recovery time. Dr. Ross Clevens, founder of Clevens Face and Body Specialists, is Brevard’s fellowship-trained, Board Certified plastic surgeon. 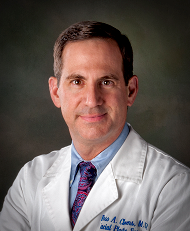 Trained at Yale, Harvard and University of Michigan, Dr. Clevens extensive experience in facial plastic and reconstructive surgery techniques makes him sought after by patients across the United States. As a way of giving back to his community, Dr. Clevens participates in the American Academy of Facial Plastic and Reconstructive Surgery Domestic Violence project, offering pro bono reconstructive surgery to victims of domestic violence and trauma. To learn more about Dr. Clevens or the NeoGraft technique, please visit http://www.drclevens.com. Schedule your confidential consultation at any of Clevens Face and Body Specialists’ four convenient locations by calling 321.727.3223.